Shannon Erwin, the recipient of BORDC/DDF’s February 2016 Patriot Award, works in Boston, helping to protect the civil rights of Muslims at a time when they are increasingly in jeopardy. 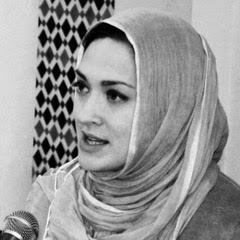 She is the executive director, and one of the four Muslim women co-founders, of the Muslim Justice League (MJL). MJL was formed in 2014 in response to a series of events that threatened Boston’s Muslim community. The need for MJL is as simple as that. MJL educates, organizes and advocates for human and civil rights that are violated or threatened under national security pretexts. On every page of their web site, you’ll find a box on the right-hand side with the heading “Contacted by the FBI?” and clear, concise instructions for what to say to the contacting agent and how to get free legal representation through MJL. The targeting of Muslims became an even greater issue a year after the bombings, when federal agencies announced, in 2014, that Boston would be one of the sites for their new Countering Violent Extremism (CVE) program. That is when Shannon and the other co-founders knew they needed a Muslim-driven civil rights organization to address the situation. In June of 2015, MJL also signed on to a national coalition letter against CVE, which included the argument that “CVE training that conveys vague and unsupportable ‘indicators’ of violent extremism will only result in further civil rights and privacy violations.” That prediction has proven to be true, as Shannon and her colleagues at MJL know well. They strive to be proactive, working hard, as Shannon says, “to let people know we’re here,” educating the community about the CVE program and how they can avoid getting caught up in it. When asked how many calls MJL receives per month from Muslims who have been contacted by the FBI, Shannon replies, “Not enough,” and adds, “We can handle more.” Currently MJL is dealing with several cases per month but hopes that their outreach will make that number grow. She is proud of MJL’s participation in the November 2015 “Resisting Surveillance: Racial and Religious Profiling in Boston and Beyond” panel, which focused on the profiling of Muslims, African Americans, Latinos and other communities of color, both in Boston and elsewhere. Making connections, acknowledging and addressing intersectionality, plays a big role in achieving civil justice, and Shannon often compares the CVE approach to the FBI’s COINTELPRO activities, stating that both are “divide and conquer” strategies and emphasizing that “We can’t be played off each other. We can’t liberate a subset of the community.” Justice is for all.